I think I should join you, Andrea....I think I would love this. Email me and give me more info....jodie@jtouchofstyle.com. That's awesome, Jodie! I'll email you later today! I'll have to look into the Yoga Collective. Doing yoga workouts at home sounds very convenient. And I like that there is a beginners series, which is what I need! Yes, the beginners series they offer are really great! Sounds very interresting. Yoga is a lot also about breathing or isn t it? Yes, it's really all about your breath, being aware of it and moving with it. With PC's back issues, we have begun adding yoga to our workouts at the gym. He has a whole routine of yoga stretches we do together. And some of my old flexibility is returning. The more consistent we are about doing it, the better we both feel. 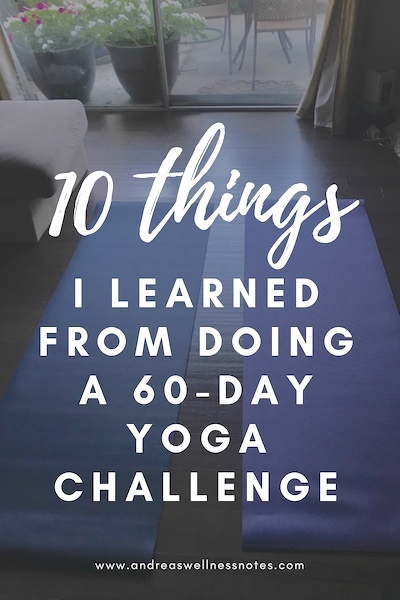 Bravo on 60 consecutive days of yoga. Quite an accomplishment. Yoga really changes things for the better! And you are right, the more consistent you are, the better. 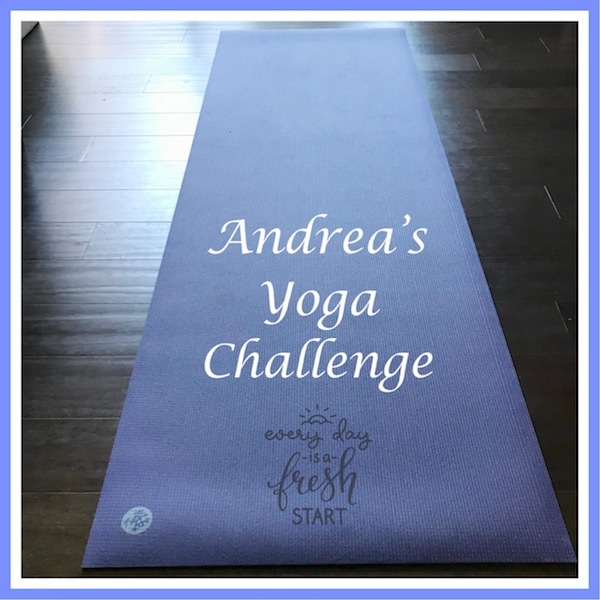 Jodie from J's Touch of Style joined me on a challenge, and we are going to practice yoga every day for the rest of the year. Hi Andrea I'm a lapsed yoga enthusiast so this was a great time to come back to visit you. I love the calming effect of yoga and do miss it. My every day exercise is my early morning sea swim which has a meditative effect and is therefore a similarly grounding way to start my day. Your body reflects your healthy lifestyle Andrea - thanks for sharing this. Hi Anna! I always love reading about your early morning sea swims! And I can totally imagine that they have a very similar effect as yoga does.